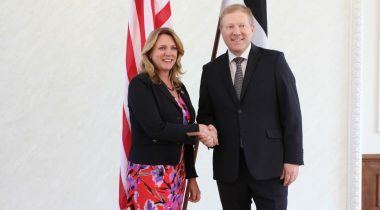 At the meeting with the United States Secretary of the Air Force Deborah Lee James today, Chairman of the National Defence Committee of the Riigikogu (Parliament of Estonia) Marko Mihkelson emphasised that the developing of the air defence of NATO’s Baltic region is of significant importance for increasing deterrence. The Chairman of the National Defence Committee assured that Estonia would steadfastly continue strengthening its defence capability. At least two percent of GDP is allocated for that. Additional investments will also be made for increasing the capacity to receive the allied forces. Mihkelson remarked that all this is supported by a strong political consensus. Mihkelson also spoke about the results of the NATO Warsaw Summit, according to which battalion-size rotating units will be deployed to the Baltic region and Poland. “Warsaw Summit showed that NATO is firmly unanimous in the issues of the protection of the sovereignty and security of the allied countries,” Mihkelson said. He also thanked the USA for its decisive role in increasing the NATO deterrence measures. At the meeting, Mihkelson stressed that ensuring of the long-term policing of the air borders of the Baltic States and developing their air defence systems are of great importance. “It is a part of creating strong deterrence capacity and sends a clear message that the NATO allies take the policing of our air borders very seriously, using the most modern aircraft for that,” Mihkelson pointed out. 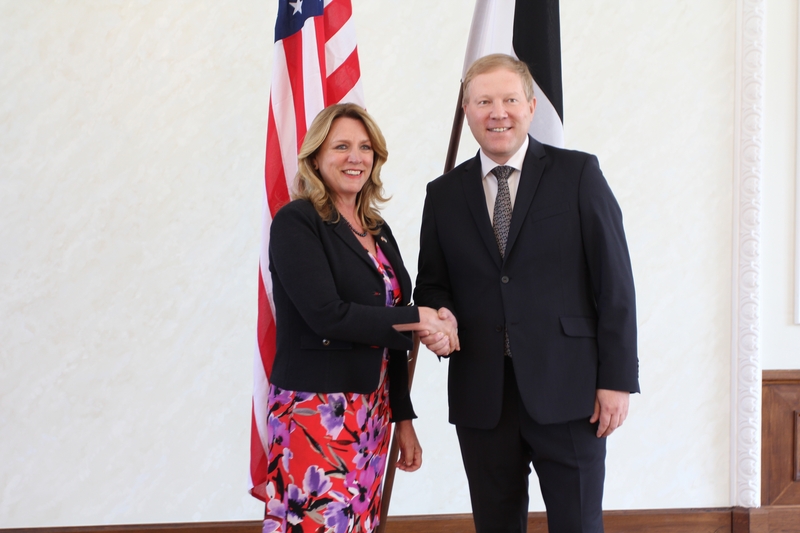 Ambassador of the USA to Estonia James D. Melville also participated in the meeting.